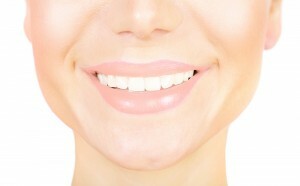 Have you considered having dental veneers placed? Then you may want to read today’s article. Veneers come in a variety materials; from porcelain and ceramic to composite resin, patients won’t have to worry about their options. Additionally, different brands of veneers exist, too. Here, Dr. Michael J. Young, your Lafayette, LA dentist shares popular dental veneers brands with his patients. Mac. These dental veneers use mostly pressed ceramic create the flawless, natural-looking shells. Furthermore, some of the ceramists also know how to make feldspathic ceramic dental enhancements. DaVinci. The DaVinci brand of veneers come from a California-based company called, the DaVinci Dental Laboratory. These veneers have been made of feldspathic ceramic material, which is just stacked porcelain. Furthermore, this is also the company that makes veneers for the dental version of Extreme Makeover. Empress. For patients who have a teeth grinding or clenching habit, your Lafayette, LA dentist might suggest using Empress veneers. This brand of veneers (produced by the Ivoclar Corporation) sells their specialized shells throughout the world. Durathins. Vita Corporation is responsible for the creation of Durathins veneers. Durathins offer one of the slimmest designs available on the market. This is directly beneficial to the patient because the dentist won’t have to remove as much enamel to accommodate those thin shells. Much like the Empress veneers, the Durathins have also become available worldwide. Emax. Another product from the Ivoclar Corporation is the Emax veneers. The material used is called, lithium disilicate and it mimics porcelain material to the letter. Furthermore, the Emax veneers have the most durability of any other type of veneers; plus, the Emax brand also produces crowns and a variety of other dental restorative products. If you’re interested in dental veneers and would like more information about this dental enhancement, talk to Dr. Young. He can explain the varying types of veneers to help you choose the most effective type for your particular needs. To schedule an appointment with our Lafayette, LA dental practice, call us at (337) 237-6453. Also, visit our website for services, patient information, and to learn more about our team. We happily welcome patients from Pilette, Walroy, Long Bridge, Scott, Broadmoor, and neighboring cities.